Dance of the Month on June 6: “Marie Sallé and Gelosia” with Catherine Turocy | The New York Baroque Dance Co. 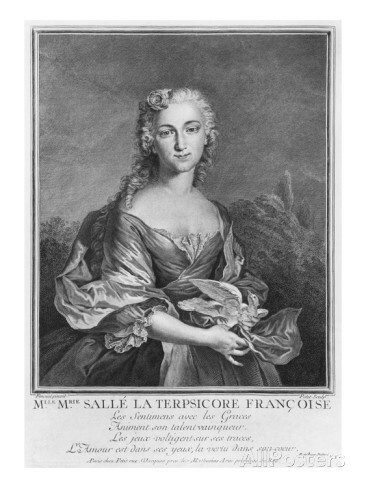 In reading descriptions of Marie Sallé in performance, especially the solo works she choreographed for herself, she is often described as having the ability to move the soul. Louis de Cahusac, one of her avid admirers, makes a separate listing for “Le mouvement” and speaks of “movement of the soul” in his book, La danse ancienne et moderne, ou traite historique de la danse. A La Haye (Paris) Chez J Neaulme, 1754, Original copy for sale. Gestures and attitudes are extremely important in conveying emotion, but it is how one dances through these that gives a period look to 18th century dance which makes it different from modern dance or contemporary ballet. I look forward to sharing my historical insights as well as my experience in performing and then coaching this role over 3 decades.